Brazilian son Paulinho Garcia may not be an immediately recognizable figure in the jazz world today and that is largely by design as he eschews the limelight in favor of being behind the scenes producing concerts, working with other artists and serving as a clinician. A fine vocalist and guitarist, Garcia is no novice with several albums to his credit but Beautiful Love, is a special solo album and vehicle defining a humbling artist as he emerges from the shadows to present himself as the world-class musician he truly is. Described as "a Chicago Treasure," the vocalist has been living in the city since 1979 where he has forged a reputation as the most celebrated proponent of the Brazilian genre in the area's vibrant musical scene. Strumming the strings of the acoustic guitar, the singer approaches each song in a laid back gentle manner lending his soothing slightly-accented vocals in bringing each song alive whether voicing the lyrics in English, Portuguese or Spanish. 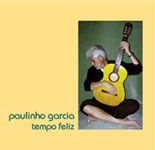 As would be expected of a Brazilian musician, Garcia includes a couple of songs from the genre opening the music with the Antonio Carlos Jobim standard "Eu sei que vou tea mar (I know I'm Going to Love You)" and ending the disc with the Brazilian folk song "Casinha Pequenina (The Little House Where our Love was born)." What is most surprising is that, for the exception of the Spanish "Historia de un amor (History of Love) and the Garcia original "Do You Remember Me?, the majority of the music is devoted to standards from the Great American Songbook. The collection of familiar standards like the Heyman/Young classic "When I Fall in Love," Jimmy Burke's "Like Someone in Love," Lionel Bart's "Where Is Love?" and Cy Coleman's "With Every Breath I take," clearly point to Garcia's intention to record an album of gorgeous love songs encapsulating the theme with Victor Young's immortal title track "Beautiful Love." No sophisticated or swinging bop sounds found here, just simple old fashioned love ballads voiced by a remarkable singer with an international flair. While Paulinho Garcia is not a new voice on the jazz scene, somehow it seems that he has managed to stay just a bit under the radar for most audiences to appreciate. No longer, Beautiful Love may be the musical statement that puts Garcia on the jazz map for good and long deserved at that. 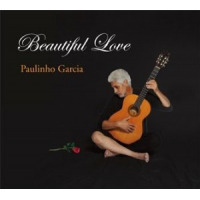 From the lips of Paulinho Garcia, an uncommon vocal messenger, the language of love gets a warm and intimate musical treatment on the romantic Beautiful Love. Track Listing: Eu sei que vou te amar (I Know I'm Going To Love You); When I Fall In Love; Like Someone In Love; Beautiful Love; If You Could See me now; With Every Breath I Take; Boulevard Of Broken Dreams; Historia de un amor (History of a Love); I Wonder Who's Kissing Her Now; Blusette; That Old Feeling; Do You Remember Me? ; But Beautiful; Where Is Love? ; Casinha Pequenina (The Little House Where Our Love Was Born). 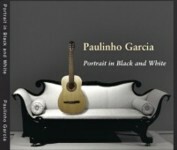 Personnel: Paulinho Garcia: vocals, acoustic guitar.